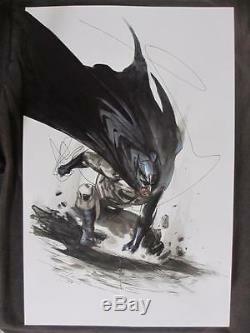 Batman Illustration Original Art DC 2009 - Gabriele Dell'Otto. We offer LARGE pictures that once clicked, you can easily drag to your desktop for a closer look! 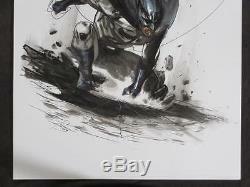 Gabriele Dell'Otto - Batman Illustration Original Art DC 2009! Nicely rendered action illustration of the Gotham Guardian in action! Ink, gray wash and watercolor on Bristol board! The image area is 11 x 17. Check out all of our other. Listings for more treasured collectibles. Boxed and well cushioned with bubble wrap/newspaper/packing peanuts. 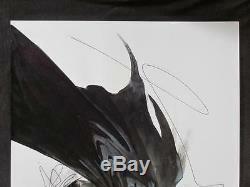 The item "Batman Illustration Original Art DC 2009 Gabriele Dell'Otto Ink & Watercolor" is in sale since Saturday, October 08, 2016. 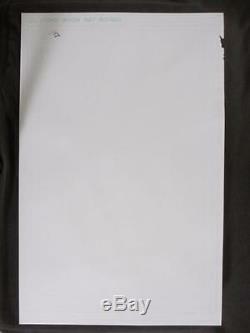 This item is in the category "Collectibles\Comics\Original Comic Art\Paintings". The seller is "collectors_comics" and is located in California. This item can be shipped worldwide.